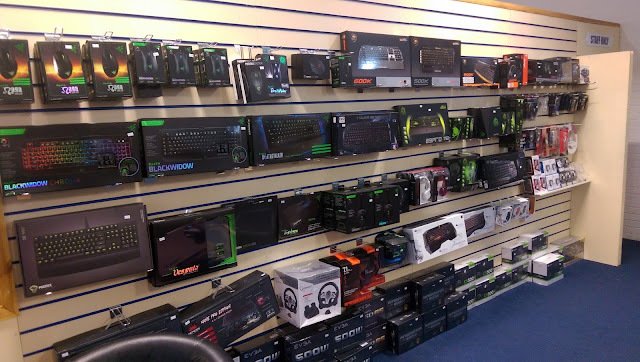 We have a great range of gaming peripherals in stock to take away now! Keyboards, mice and more from gaming giants such as 'Razor', 'Saitek' and 'Coolermaster', with prices to suit any pocket! So as the cold winter nights draw in why not treat yourself to some gaming goodies to help while away the hours! To see our entire range come to our Norwich store on Roundtree Way, or visit our website at www.anglianinternet.co.uk.